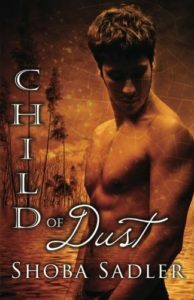 Child Of Dust by Shoba Sadler is a Christian contemporary romance which I really enjoyed. Set in Vietnam and with Shoba Sadler’s detailed descriptions, the reader is transported to a hot and vibrant climate. The novel comes alive as the reader delves deeper into its pages. God is at the heart. We are so lucky in the west to have the freedom to worship. In Vietnam the Christian church is an underground movement. Christians have to rely on the faithfulness of God which contrasts with the fickleness of people. There is an atmosphere of persecution and corruption. People are taught to judge and to hate. “I hate it because I was taught to hate it.” The Amerasians are seen as worthless. They carry the weight as seen as the sins of their fathers. They are all victims of their birth. There were some touching scenes as a young child declared “I want to be brown like you. Then no one will hate me.” At a time when she should be playing, already the system has told her she is worthless. Prejudice in all its forms is wrong. Within the story there are the haves and have nots. Money talks. Money is power. Money used incorrectly and the love of money spells corruption. Life’s real riches in contrast are found in God. “No amount of money… can buy the joy and peace of the Lord.” This costs us nothing but cost Jesus everything as He went to the cross for each and every one of us. Family is important but family may be manipulative. Real family and love lasts over years and over continents. Child Of Dust was a powerful read. It was a read that both educated and horrified me with the treatment of the people of dust. People are valuable and should be treated as such and not used and abused. There were certainly some hard hitting topics. Child Of Dust is not for the faint hearted. It is real. It is gritty. It is a story that pulls no punches. It is also a story that should be read – life is not always a bed of roses but God is faithful and can be trusted. A powerful offering from Shoba Sadler.